The Holy See advised of severe sanctions regarding "episcopal ordination without an apostolic mandate" on the eve of the June 25 ordination of Bishop Matthew Cao Xiangde of Hangzhou, in eastern China. Bishop Cao, 71, was ordained by Bishop Yu Chengcai of Haimen at a liturgy in the Hangzhou cathedral. The Mass was held at 8:30 a.m. on the feast of Corpus Christi, according to a Hangzhou diocese priest who asked not to be named. The co-ordainers were Bishop Wu Shizhen of Nanchang and Auxiliary Bishop Lu Xinping of Nanjing, he said. Bishop Lu was one of the five ordained in the controversial ordinations in Beijing on Jan. 6. All of the three ordainers in Hangzhou June 25 are government-recognized bishops who have no apostolic mandate. Bishop Cao, who was tight-lipped before his ordination, told UCA News over the phone June 26 that the media did not report the truth and he did not want any coverage. "The situations between the Churches in China and Hong Kong are different," he noted, adding that any inquiries should be referred "to the core of the China Church -- the Bishops´ Conference of the Catholic Church in China." Bishop Cao completed his priestly formation in Sheshan Regional Seminary in the early 1980s and was ordained a priest in 1985. 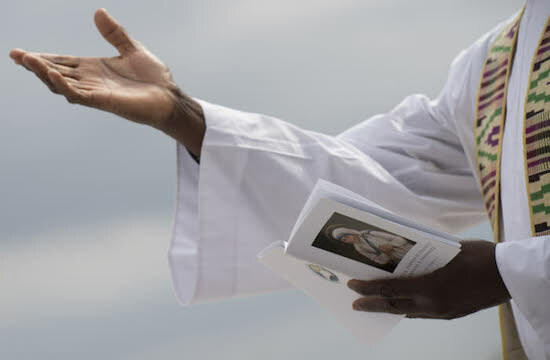 A source close to the Vatican told UCA News that Vatican officials had not received any information or request for advice regarding the episcopal ordination and that no apostolic mandate was given. On June 24 the Holy See Press Office issued a statement in Italian warning of "severe sanctions for both the bishop who consecrates and for the one who receives the consecration," since any episcopal ordination without an apostolic mandate is "a serious violation of canonical discipline." The statement was made to clarify many inquiries concerning reports of forthcoming episcopal ordinations in China, the Holy See statement said. The Vatican source said the statement inevitably concerned the Hangzhou case but spoke in a general sense to all bishops and related personnel in China. The statement appears to refer to canon 1382: "Both the Bishop who, without a pontifical mandate, consecrates a person a Bishop, and the one who receives the consecration from him, incur a ´latae sententiae´ excommunication reserved to the Apostolic See." However, the mentioned Chinese priest in Hangzhou told UCA News June 26 that he had not heard about a Vatican statement concerning latae sententiae, or automatic excommunication and episcopal ordinations. 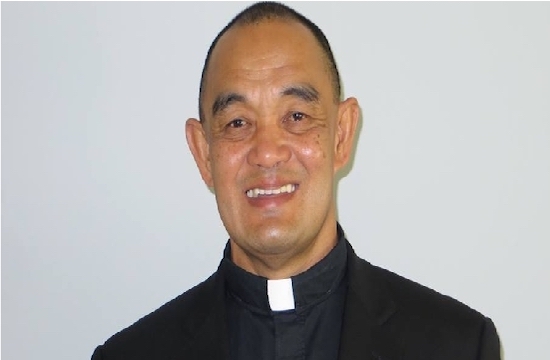 With regard to Bishop Cao, the priest said that "although his clerical authority is incomplete, as a leader of the diocese, we still respect him. Our foremost consideration should be pastoral ministry." The Holy See´s four-point statement said that "an episcopal ordination without an apostolic mandate is a painful wound to ecclesial communion and a serious violation of canonical discipline." Such an act "touches the very constitution of the Church (which) explains why canon law decrees especially severe sanctions, for both the Bishop who consecrates and for the one who receives the consecration," it said. "Episcopal ordinations conferred outside communion with the Successor of Peter place ulterior obstacles on the path of normalization both of life of the Church in China and of relations between the Peoples´ Republic of China and the Holy See, so desired by Catholics all over the world," it continued. "This situation cannot fail to cause surprise after declarations by Chinese political leaders, even recently, expressing a desire for dialogue with the Holy See," the statement said.